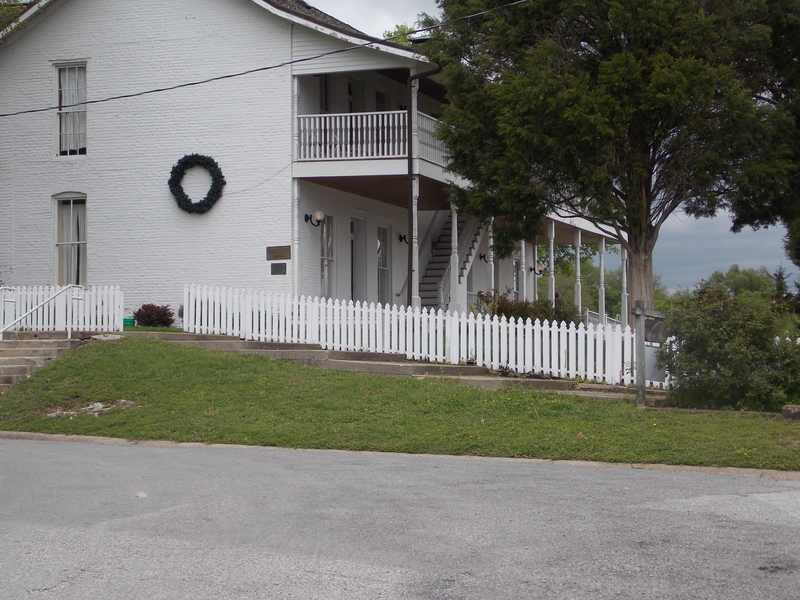 Bruce and Sue Hemphill, owners of the River Rose Inn are to take over management of the Old Rose Hotel as of May 2014. The owners look forward to managing this historic hotel that is owned by the State of Illinois. The hotel was built by James B. McFarlan around 1804-1812. Before being named Elizabethtown, the area was first named McFarlan’s Ferry and served as the county seat. Local lore says that the town was called named for Elizabeth McFarlan, The McFarlan’s brick home overlooking the Ohio River was built in 1812 and was known as McFarland’s Tavern. History shares that in 1891, Sarah Rose Baker, a widow woman who had worked at the hotel for 7 years, Mrs. Rose purchased the hotel from the McFarland family. The Rose Hotel passed to daughter Charlotte Rose Gullet upon Sarah Rose’s death in 1939 and remained in the Gullet family, until the state of Illinois purchased the property in 1988. After a bit of renovation, the Hemphills hope to re-open this summer. I look forward to visiting and seeing this lovely hotel fully operational!